I'm not much of a gardener. A few years ago, I had a blackberry bramble growing in my back yard, and I killed it. Ironically, I killed it when trying to weed around it to give it space to grow. I broke a cane near the bramble that didn't look -- to me -- like part of the bramble -- it was a single sticky-uppy cane, with no flowers, and no fruit. 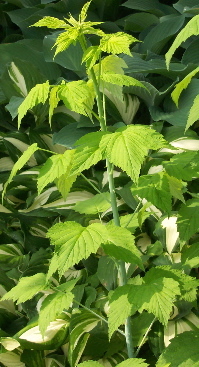 It even had a different number and pattern of leaves on it -- it just looked like a weed. Little did I know, this was the so-called "primocane," and is the most important part of the plant (for domestic blackberries and raspberries there's actually a big market in selling genetically engineered "primocane bearing" plants, so that you don't "waste" a year.) The next year: no more blackberries. That was a bad year; clearly my failure to protect this plant was a metaphor for all of my life's failings. Guilt-wracked nights of shame followed. Denial, anger, bargaining: "Please, baby, come back. I won't treat you wrong no more." But it was over. I had killed them. I was a blackberry murderer. It was a long, bitter summer, that year. Sure, I had blueberries. Sure, I had strawberries. Hell, I even had some Swedish Gooseberries that were in town on an exchange program. But it just wasn't the same. They all tasted pale: too cultured, too watered-down. Tame. Fortunately, blackberry brambles are hardy survivors, and this year I am nearly drowning in them: with a little (much more careful) weeding help from me, I've got the back slope practically crawling with them. And, even luckier, one has popped up in the front garden, giving me convenient driveway access to as many blackberries as I want. I'm considering ripping out all the perennials to make more room for that bramble. The truth is, I hate gardening, weeding, nature, the outdoors, insects, plants, and pretty much anything else that occurs naturally in environments that are not air conditioned. 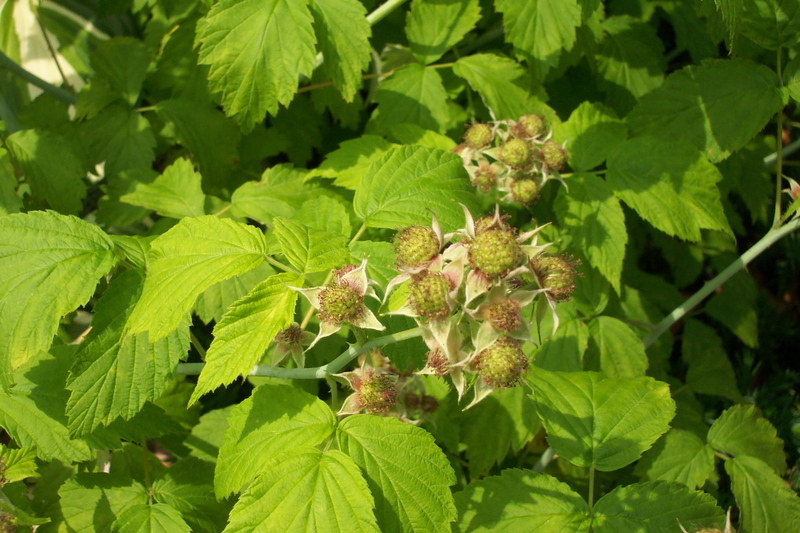 But I can make myself weed by turning it into a video game in my head, where the evil weeds are encroaching on my precious wild blackberries, trying to choke them out, and I must zap the weeds thus ensuring that I have a blackberry-filled summer.